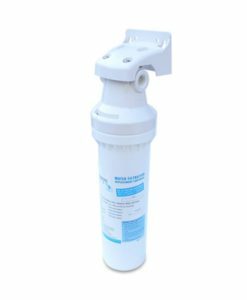 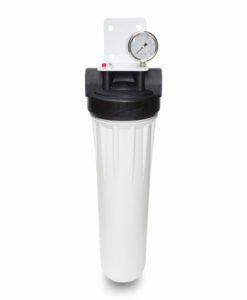 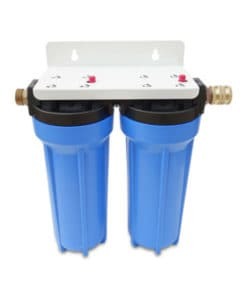 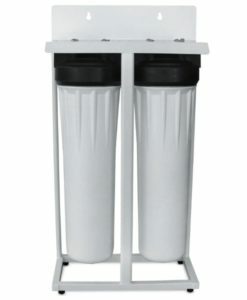 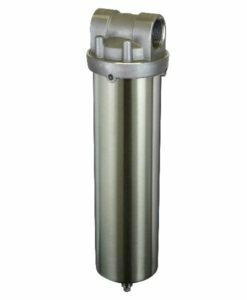 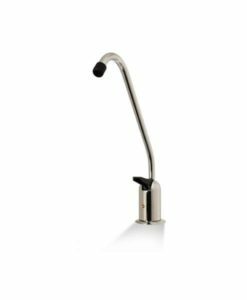 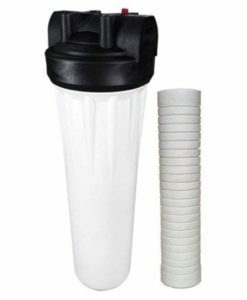 The AMF-34CSRV RV water filter system is easily installed and comes complete with housing, coconut shell carbon block cartridge, bracket, hose connectors, and wrench. 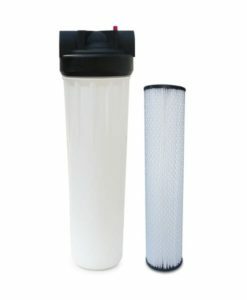 It’s one of the best RV water filter systems. 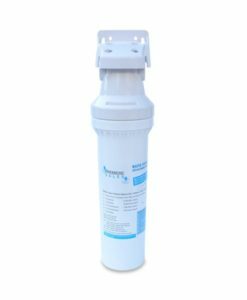 This system absorbs harmful contaminants and improves the appearance and taste of drinking water. 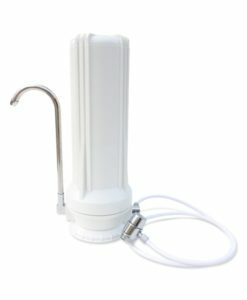 Flow rate of 2 gallons per minute. 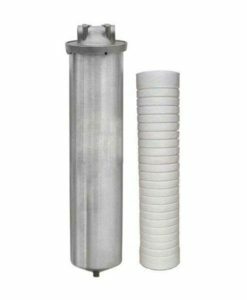 The premium 5 micron cartridge contains genuine Siliphos ®, a corrosion and scale inhibitor. 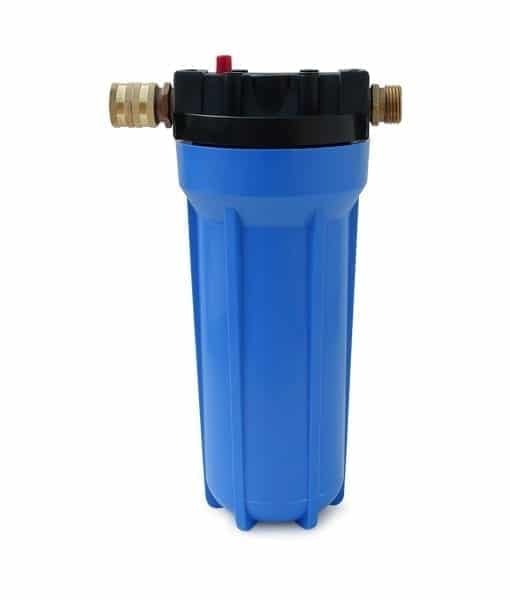 It eliminates and removes existing scale build-up in your water heater and other plumbing connections susceptible to damage due to build-up of scaling. 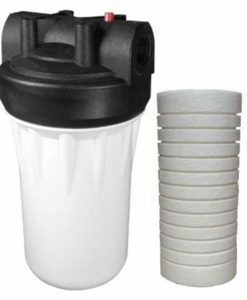 Coconut shell carbon block technology is an eco-friendly and renewable resource for water purification. 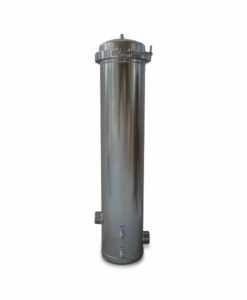 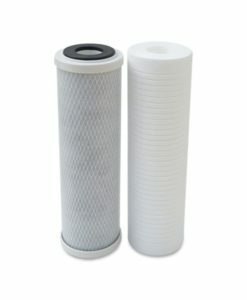 A carbon block filter provides better contaminant removal than a granular activated carbon filter (GAC filter). 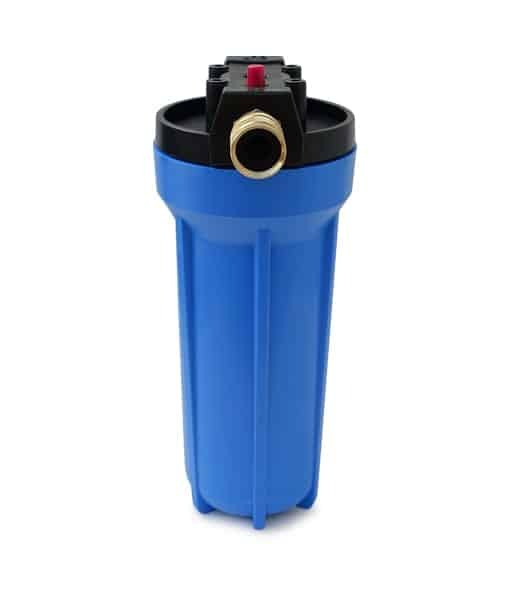 The included 5 micron cartridge is a high performance, 100% coconut shell carbon block filter with up to one year cartridge life.